If you are planning on attending one of ISInc’s classes remotely, connect to our test conference to ensure connectivity. 5. This concludes this portion of the test; please click the “Exit Meeting” button in upper right hand corner. 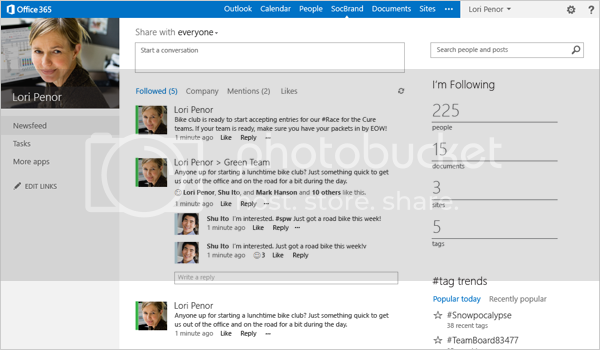 Office 2013 will soon be here, along with a new and improved version of the cloud-based Office 365. If you’re looking to upgrade, you have to decide whether the traditional desktop version of Office is the way to go, or if Office 365 is a better fit for your needs. Office 2013 is impressive, but Office 365 is a better value in most cases. 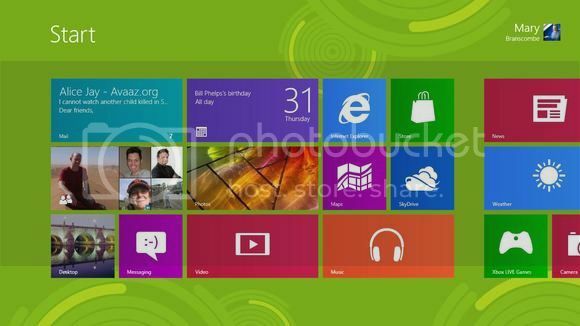 Microsoft hasn’t yet shared what the price tag will be for the new Office 2013. But, unless it follows the same bold path laid out in offering Windows 8 for a mere $40, history suggests the new productivity suite will start somewhere in the $150 neighborhood. Office 365 plans start at $4 per month. Small businesses can get access to Exchange, SharePoint, and Lync in addition to the core Office productivity applications for only $6 per month. Larger businesses that want to take advantage of Active Directory integration can do so for $8 per user per month. Breaking those down, it takes more than three years to reach $150 based on the $4 per month plan, and more than 18 months under the $8 per month plan. The 18 months is less time than a business typically gets out of an investment in the desktop Office software, but it also comes with more than the software itself. Of course, those are the current subscription prices and plans for Office 365, so those figures are subject to change as well. What else do you get with your Office 365 subscription? An IT department. Sure, you can set up your own Exchange Server, SharePoint Server, and Lync infrastructure. You can manage and maintain the desktop Microsoft Office software, and install the patches and updates every month yourself. How much will that cost? Consider that implementing the same capabilities in-house requires servers, and network infrastructure, and IT personnel to install, manage, update, and maintain it all. Plus, you still have to buy and maintain the Office software itself. With Office 365, Microsoft takes care of all the dirty work so you don’t have to. Updates, patches, and upgrades just happen in the background without you needing to worry about it. When the server crashes, its Microsoft’s problem. When a hard drive needs to be replaced, Microsoft will handle it. You get the benefits of using Office without any of the headaches of updating and maintaining it all. Office 365 lives in the cloud. That means you have access to Word, Excel, Outlook, and other Microsoft Office tools from anywhere you can get a Web connection, and from virtually any device–Windows or Mac desktops and laptops, Android devices, iPhones, iPads, and other smartphones and tablets. Office Web Apps provide basic features and functions for free.This isn’t quite the selling point it once was for a couple reasons. 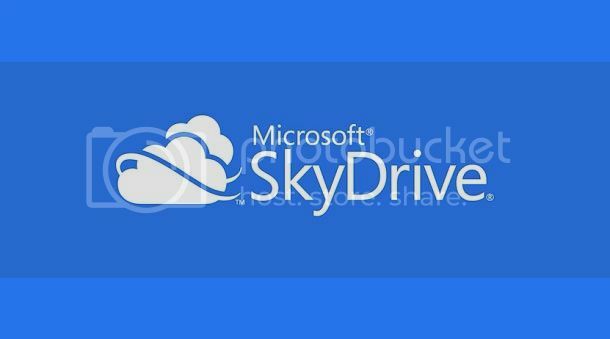 First, even with the desktop Office 2013 suite Microsoft is pushing users to save files to the cloud-based SkyDrive, or to a SharePoint server by default. So, there’s no reason the data can’t be accessible regardless of whether you choose Office 2013 or Office 365. The second reason it may not be all that compelling is that Office Web Apps are already available for free from the SkyDrive site. 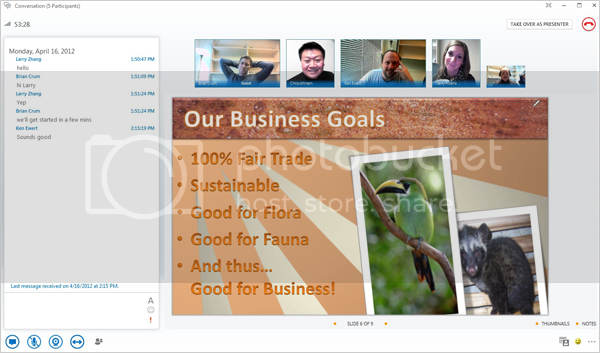 So, even without Office 365 users can create, view, and edit Word, Excel, PowerPoint, and OneNote files from the Web. For businesses, though, SharePoint, Active Directory, and other elements of Office 365 that go beyond simply creating and editing Office documents still make Office 365 a better value. Your mileage will vary of course. There are a number of factors involved in calculating the cost of purchasing, installing, configuring, updating, and maintaining Microsoft Office and the accompanying back-end services versus the ongoing subscription costs associated with Office 365. Office 365 is a solid service providing tremendous bang for the buck, though, so it won’t be easy to beat the value it brings to the table. “Send to” Function not working properly in SharePoint 2010? I recently had an issue with a new install of SharePoint 2010. A user was trying to send/copy documents between libraries on the site, and the “send to” function was not available, it was grayed-out. 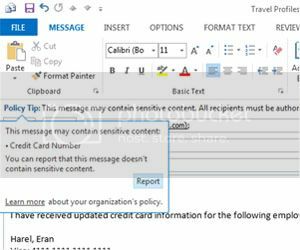 After a little research, I found that there is an add-on in Internet Explorer that can cause problems with the “send to” feature of SharePoint. To fix this problem, go to “Manage Add-ons” in the Internet Explorer tools menu. Change the view to “show all add-ons”, and disable “STSUpld CopyCtl Class”. Your “send to” should now work without a problem. 1 Comment on “Send to” Function not working properly in SharePoint 2010? 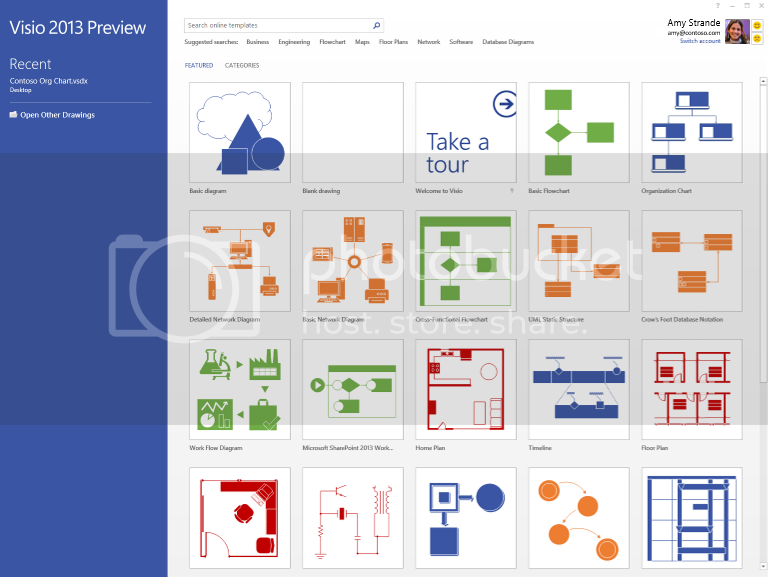 When Microsoft officially introduced its coming version of Office on July 17, one of the quickly mentioned features that generated the most questions was something called SkyDrive Pro. SkyDrive is Microsoft’s cloud storage mechanism for consumers. So will SkyDrive Pro be its complement for business users? Will SkyDrive and SkyDrive Pro offer users two different cloud storage locales? Does SkyDrive Pro basically kill off Groove and/or SharePoint Workspace? LiveSide.Net has a good rundown of some of the many unknowns around SkyDrive Pro. Microsoft mentioned SkyDrive Pro a couple of times, very briefly, in its downloadable reviewers’ guide for the new Office. On July 17, officials offered a few more tidbits about the mysterious new version of SkyDrive. 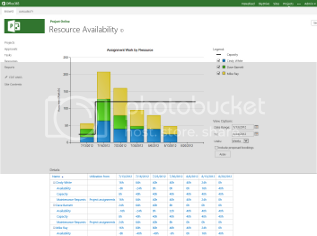 A Microsoft spokesperson said that Microsoft does not consider SkyDrive Pro to be a replacement for SharePoint Workspace. 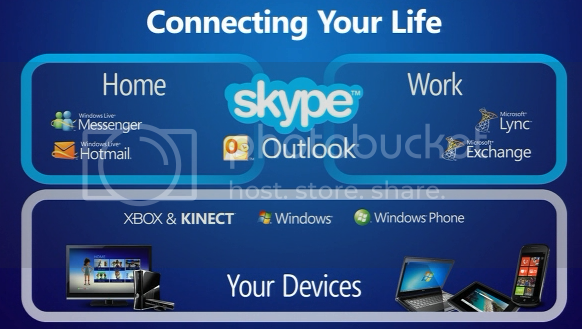 The spokesperson also said users could opt to have two SkyDrives: One for work (SkyDrive Pro) and one personal (SkyDrive). It’s not clear to me whether the two would simply sync, or if users could opt to merge these into one. Hopefully things will become clearer as testers start weighing in about the Customer Preview of SharePoint 2013 and the new Office 365 bundles. Meanwhile, what else is new in the coming SharePoint Server 2013/SharePoint Online service? This week, Microsoft officials and partners shared more details, including the more pervasive social-networking capabilities; the integration of FAST Search technology; and a new SharePoint Sites hub. There’s also a new feature called Shredded Storage, which removes file duplicates and reduces the amount of content sent across the wire.